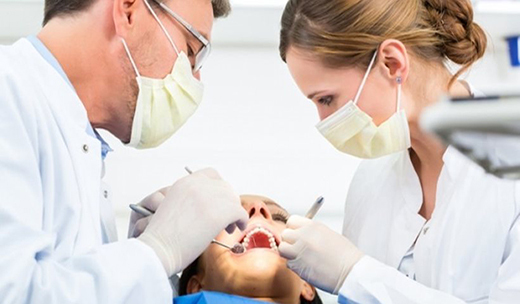 The application of fluoride is an important regime against caries formation. 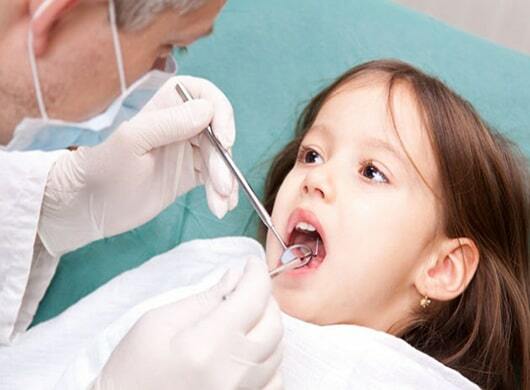 Usually it is applied in children above the age of 3 years old, but is also suggested for high caries risk adults. Fluoride is a substance that contributes to teeth remineralization and is able to make teeth stronger against bacterial acids that can cause dental caries. Apart from fluoride application in the dental practice environment, a daily teeth brushing regime using a fluoride-containing toothpaste contributes to making teeth stronger against dental caries and keeping them healthy. Fissure sealants are an important preventative measure against the development of dental caries.Posterior teeth (molars, premolars) have a complex anatomy that makes food/bacteria entrapment and caries formation easier. As a result, the preventative application of fissure sealants is highly recommended in order to ‘close’ the fissures to avoid food entrapment. Fissure sealants are composed of a thin layer of transparent flowable resin which is applied on teeth surfaces without drilling the teeth at all, making the whole procedure completely painless. The application of fissure sealants is recommended after the eruption of the first permanent molars, which is around the 6th year of children’s age.